Mustard Greens aka "Cai Xin"
Call it by the unappealing and lengthy name; Mustard greens or Chinese flowering cabbage, this green leafy vegetable is one of the world's most famous vegetables which is often found on Asian dining table. 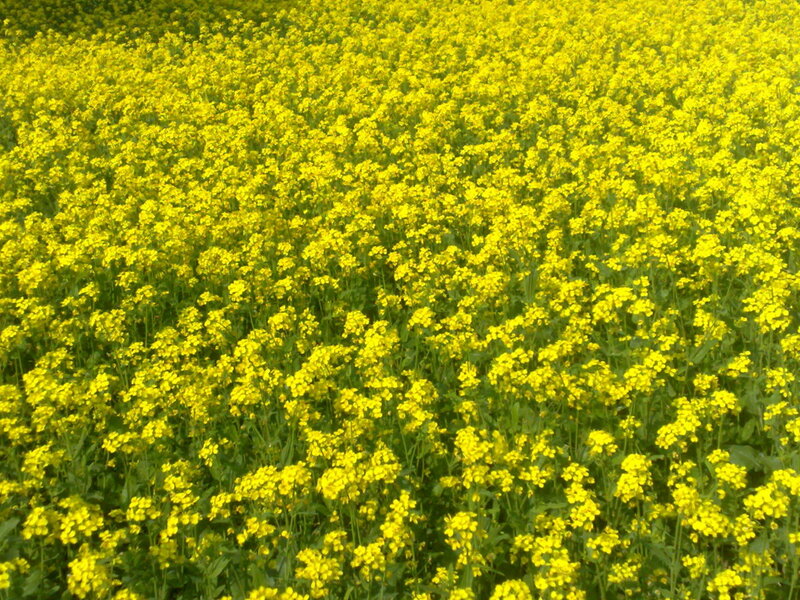 In the Chinese community, Mustard greens is also known as "Cai xin" ; "cai" means vegetable whereas "xin" means heart. Literally, "Cai xin" is beneficial to our heart. Mustard greens is the most nutritious leafy vegetable compare to others as it is high in Vitamin A, Carotene, Vitamin K , flavonoid and it has anti-oxidant substance that helps to fight against cancer if consume often. Besides that, we should include Mustard greens in our meal as it has the ability to lower our cholesterol level and encourage daily bowel movement. Vegetables are known to help to soften hard dry stools as it contains fibre and water. Constipation is often caused by insufficient water consumption and fibre too. If you notice there are holes in the vegetable leaves, do not be alarmed. It does not mean that these vegetables are rotten or not fresh. On the contrary, it shows that these batches contain less chemical sprays which is why the vegetable pests attack these vegetables. Therefore, vegetables with holes are much safer for us to consume rather than the beautiful ones. It is wise to choose organic vegetables because these vegetables are chemical free, grown under green house environment, uses more water and very little soil. Therefore, vegetable pests are rarely found, vegetables grown are big, beautiful shape, rich in colors and fresh. 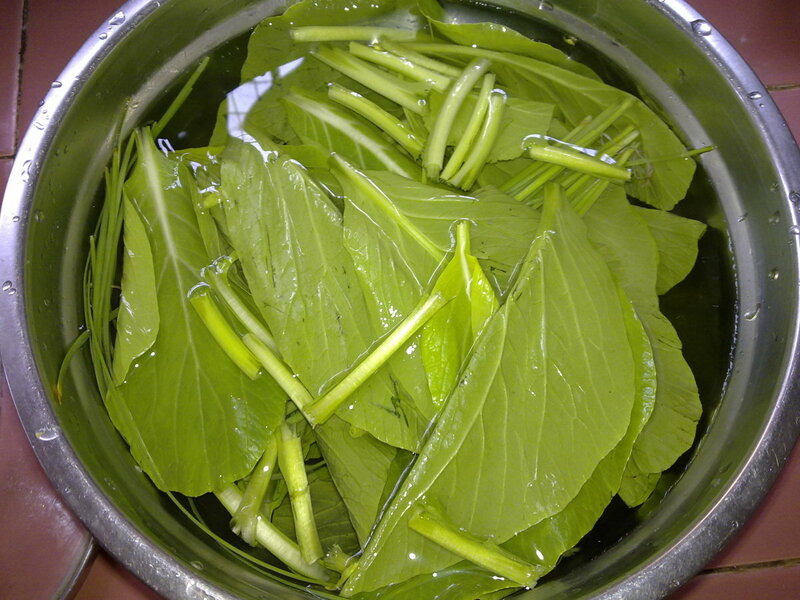 Mustard greens grown locally are easily bought in wet market, hypermarket and grocery stores. This vegetable is selling like hot cakes in the market because it is cheap ( RM1.69 per kg! ) and commonly consume by people of all races in many Asian countries. It is obvious that many people especially housewives, prefers mustard green because it takes a few minutes to cook compare to cauliflower and broccoli which require more time to soften the hard vegetables. 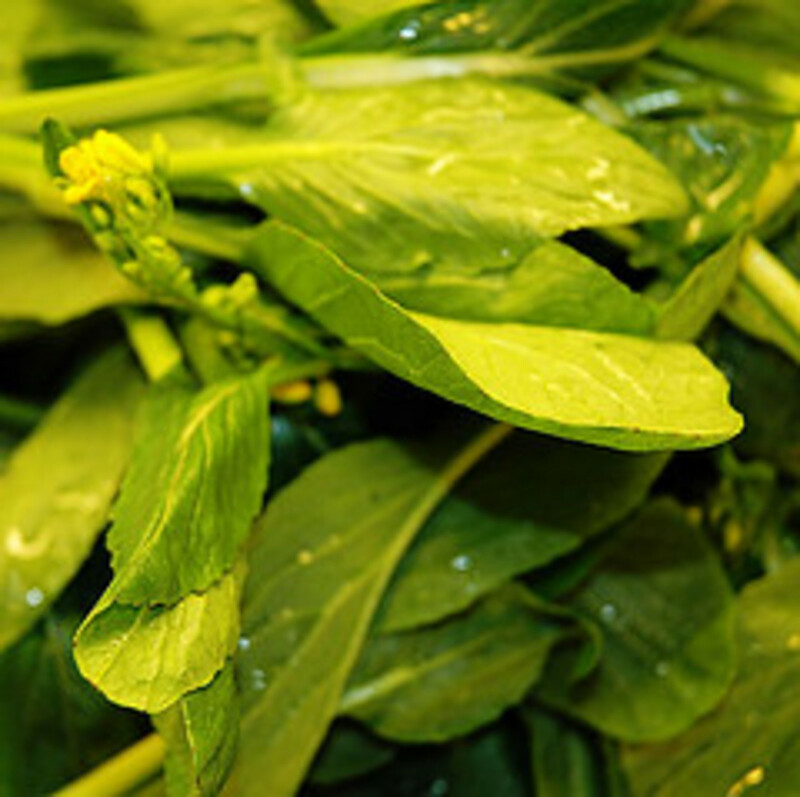 There are four ways to cook mustard green; stir-fry, steam, boil or braise. Chinese families love to stir fry Mustard Greens with garlic and ginger while Malays and Indians prefer to mix them with curries, fried rice and fried noodles. When buying Mustard Greens aka "Cai xin", choose those leaves that are not too big and they should be in attractive dark green color. Avoid those yellow and whites spots which may be insects drops or "sick" leaves. Big leaves are hard to chew and might cause indigestion. 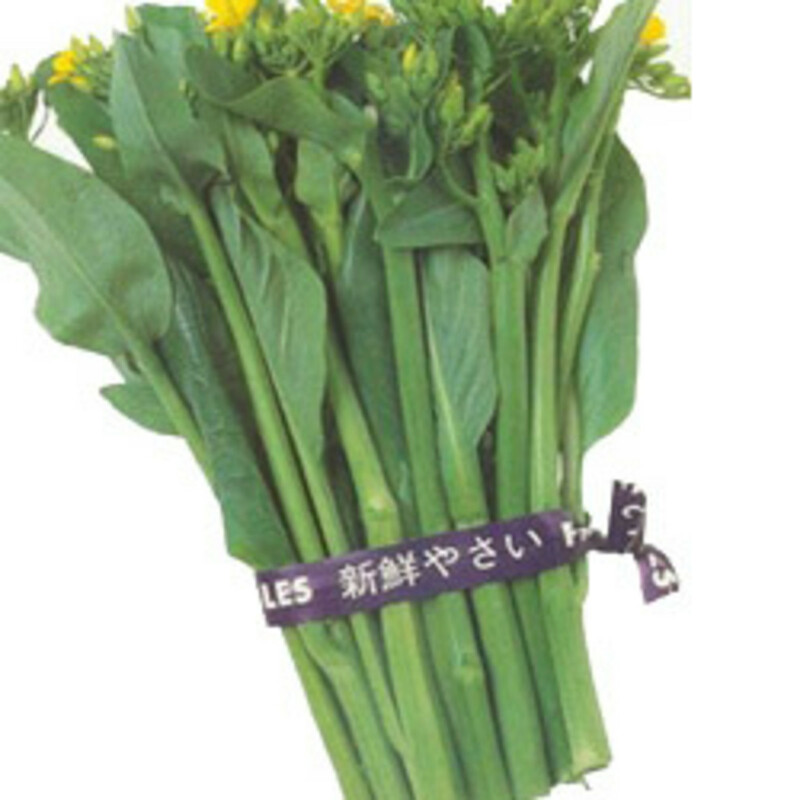 In addition, do not buy pale green yellowish leaves and soft bending stems as these vegetables had been left on the shelf for a long time; not fresh anymore and losing the nutrients. Discreetly, try piercing the base of the stem with your finger nails. If you can pierce it easily, this means the vegetable is tender, fresh and contains water. If the base is hard or dry, this means the vegetable is old. 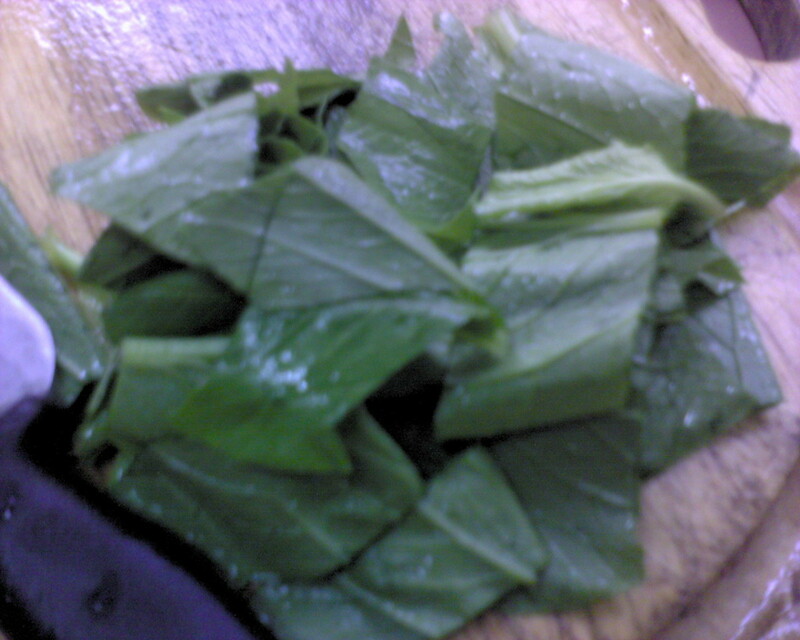 Cai xin are usually sold in a bunch, a few stalks of leaves tied together. A bunch of Cai xin is enough for 2-3 person meal. Mustard Greens do not keep very well. They turn yellow easily if kept in the fridge more than 4 days. Try using them vegetable as soon as you purchase them. 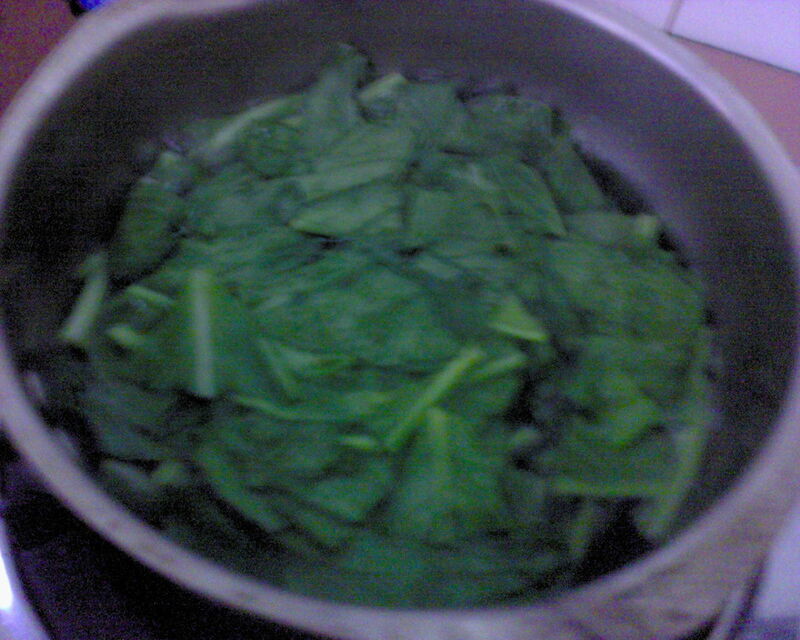 It is advisable to cook freshly bought Mustard Greens in order to consume all the nutrients and fibre still available. You will notice that fresh Mustard Greens are crunchy when you chew the leaves and stems, taste delicious, not bland at all and the soup turns light green in color too. 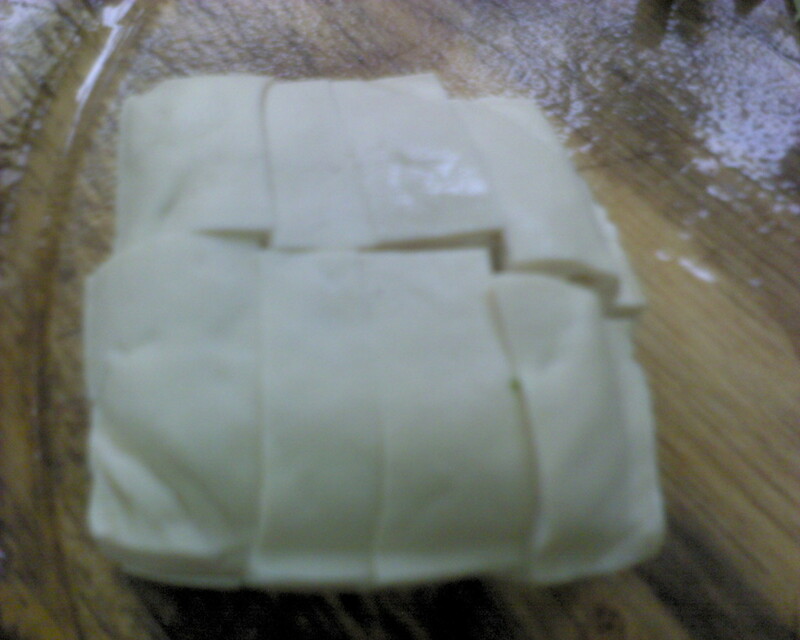 If you must keep Caixin for a few days, wrap them up in a plastic wraps or keep in a plastic bag. Store them dry with wrap newspaper or magazine. Remember NOT TO WASH the Caixin because the leaves will stick together causing dampness, turn rotten quickly which results to sticky, slimy juice that resembles nose mucus. In addition, it will produce rotten smell too. The purpose to keep Caixin dry in plastic wraps is to reduce the air absorbing the vegetable water and drying up the leaves. Hence, this will enable Caixin to last at least another 3 days or so. Ham goes well with any dish. Broad beans are healthy especially those patients having gall stones problem. Broad beans are soft just like the chickpeas. 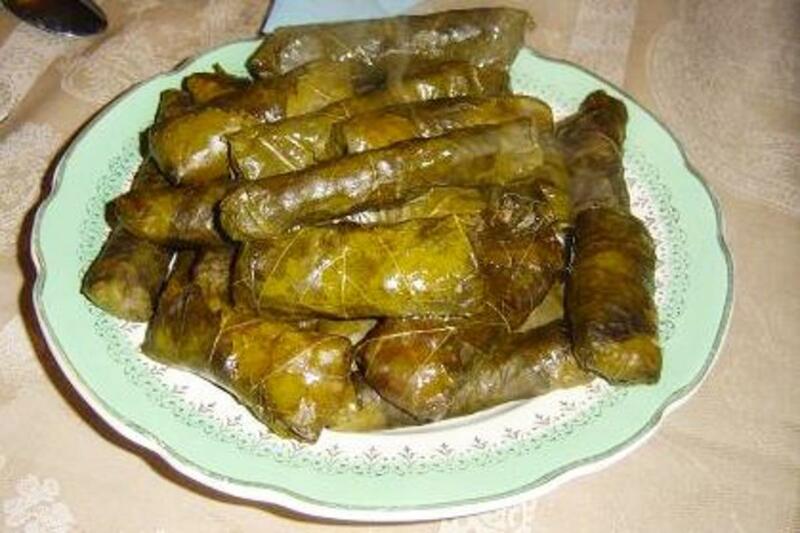 Very delicious and easy to cook. Wash Mustard Green under running tap water to disperse all soil, dirt, tiny snails among the branches and under the green leaves. Soak the vegetables in a basin full of water. DO NOT CUT the vegetables during soaking time as the nutrients will be lost and juices drain out faster. Just cut off the stems, peel off the outer skin and soak the leaves attached to the branches into the basin for at least 20min before using them. The purpose to soak Mustard Green is to remove the chemical sprays which stained on the leaves. Drain the vegetables and use a knife to cut the leaves into bite size portions. To parboil Mustard Green so as to maintain its' attractive color, add a teaspoon of oil ( not yet cook oil or sunflower oil ) to the boiling water, before plunge the vegetables in. 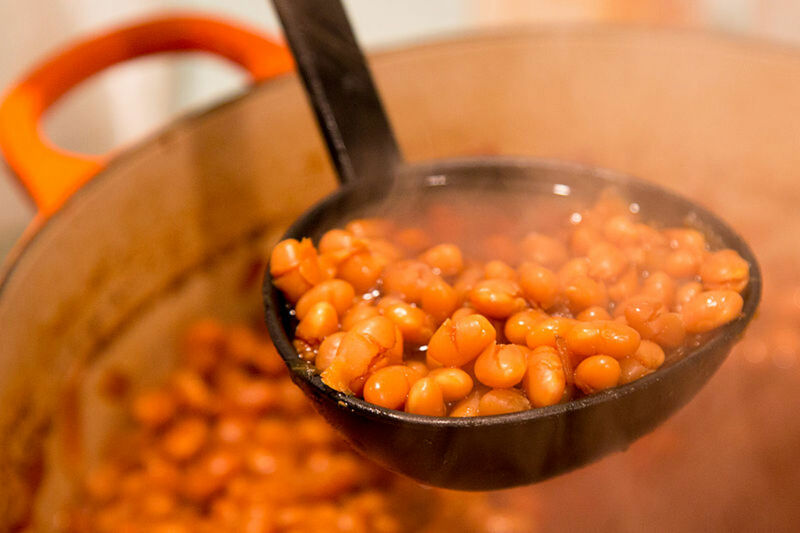 Once the vegetables are cook, transfer them into cold water to maintain the crunchiness. Drain them and leave aside for later use. 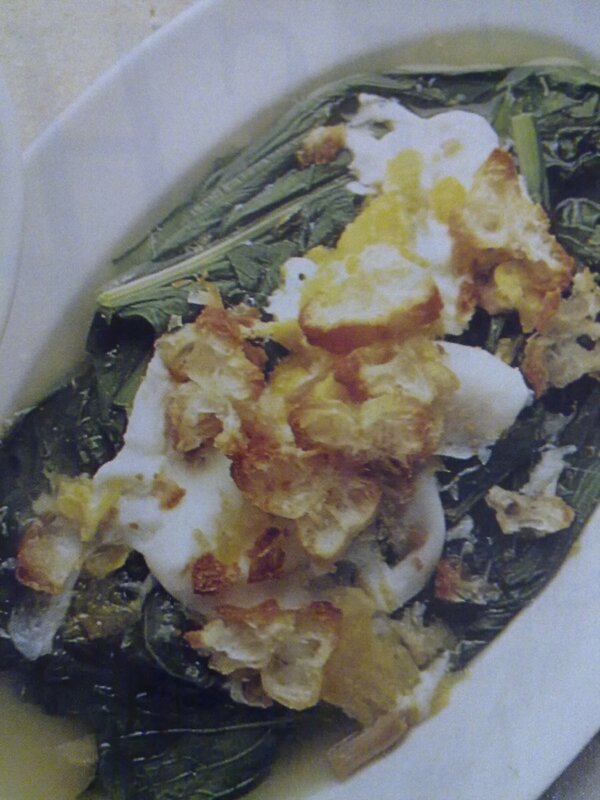 If you like, you may toss the Mustard Green with a little of oil to keep them from sticking to each other. Your vegetables will look shiny and nice dark green in color. I love to drink clear hot soup during cold weather especially rainy days. It warms my stomach, heat up my body temperature and increase my appetite too. My children love to drink Cai xin soup because it is not oily, taste just nice and goes well with white rice. Cai xin soup is also beneficial for children and adults who are sick or lost of appetite. Boil Cai xin soup is quick and easy especially when you are in a hurry to prepare dinner for your hungry kids after a hard day work. Here is a recipe for you to enjoy. 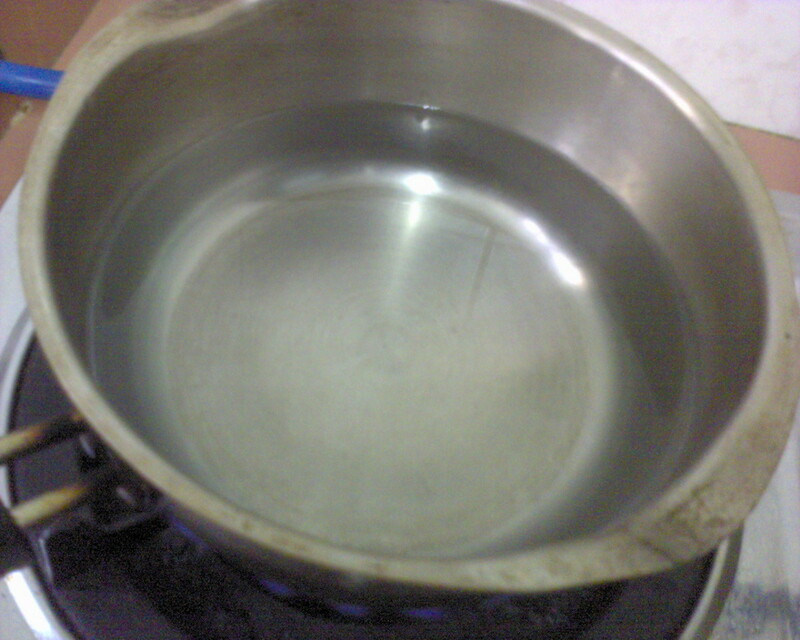 Fill 1.5 litre of water in a soup pot. Bring water to boil over medium fire. When the water starts to form tiny bubbles, add in 1 teaspoon of oil. Add in cut Mustard Greens stems and branches. Do not put in the leaves. The stems and branches take a longer time to soften. Let it boil for 5min. 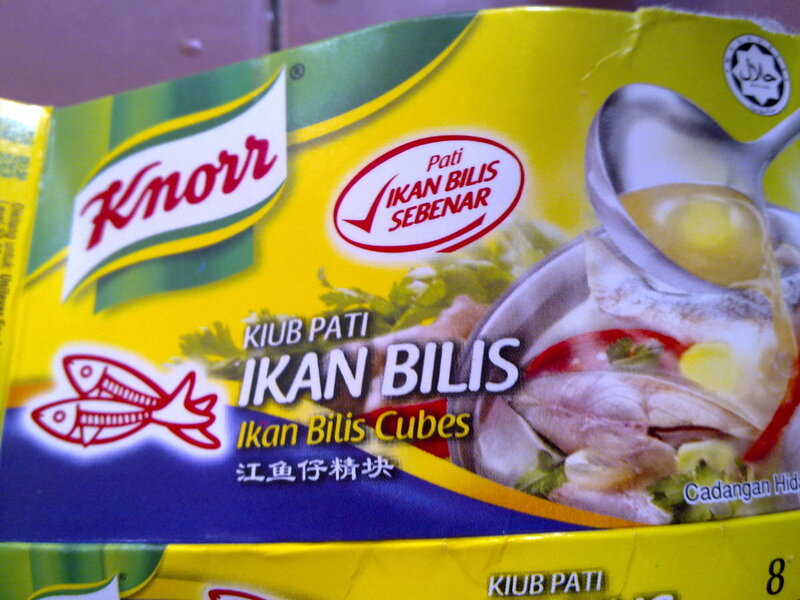 Add in cut leaves and chicken or ikan bilis stock. Use a soup ladle to stir. Add in tofu a few batches at a time. Do not plunge in all at once because the tofu will break into pieces. Let it boil for another 5min. Add in all fish balls. 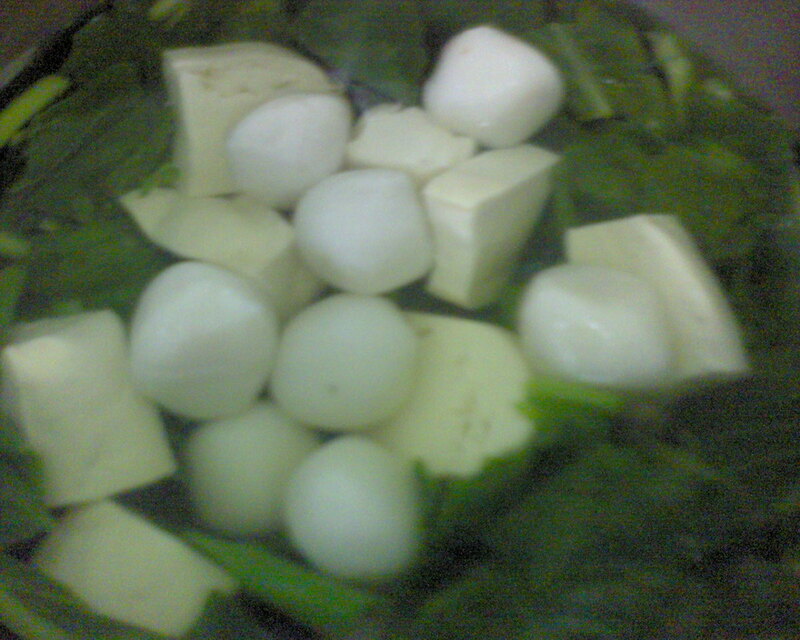 The fish balls will surface to the top of the soup when it is cook. Turn off heat. Season with a few dash of pepper and sprinkle with chopped spring onion. 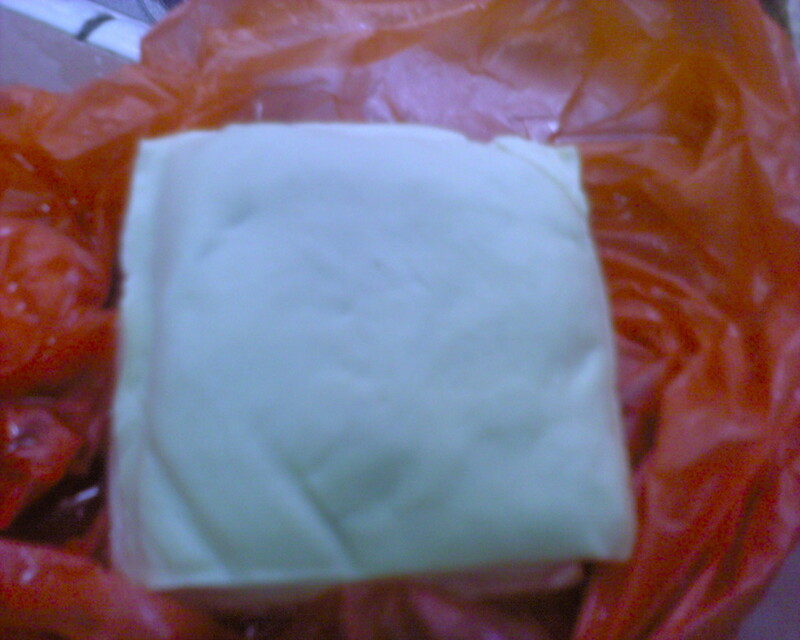 Most people know that tofu or beancurd has many health benefits. It has high protein compare to meat and protects our body system from various cancers, relieves the effects of menopause and lighten the color of our skin too. 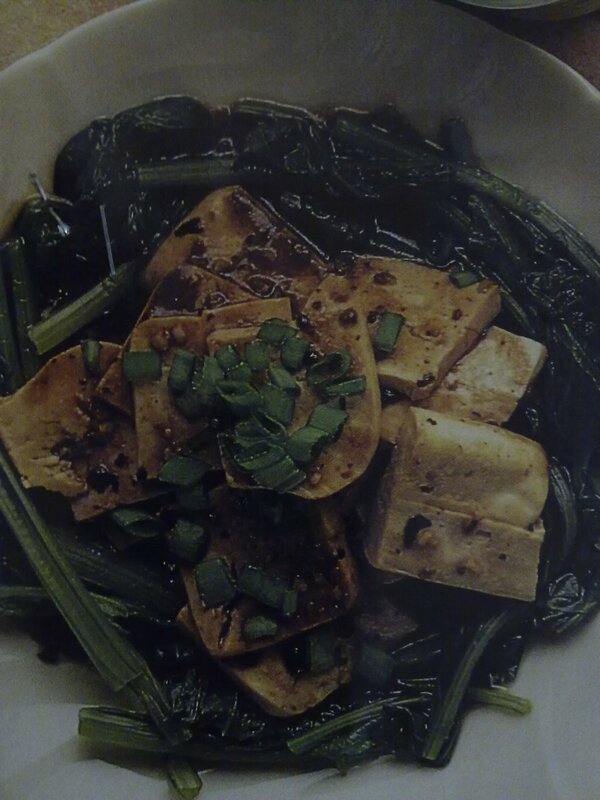 Although tofu in bland and has little taste, it has the ability to absorb the flavors around it. Hence, I love the combination very much ! How well do you like this recipe? Not bad, Will try again. Heat 1 tbsp of oil in a wok and brown garlic. Add the onions and fry for about a minute. 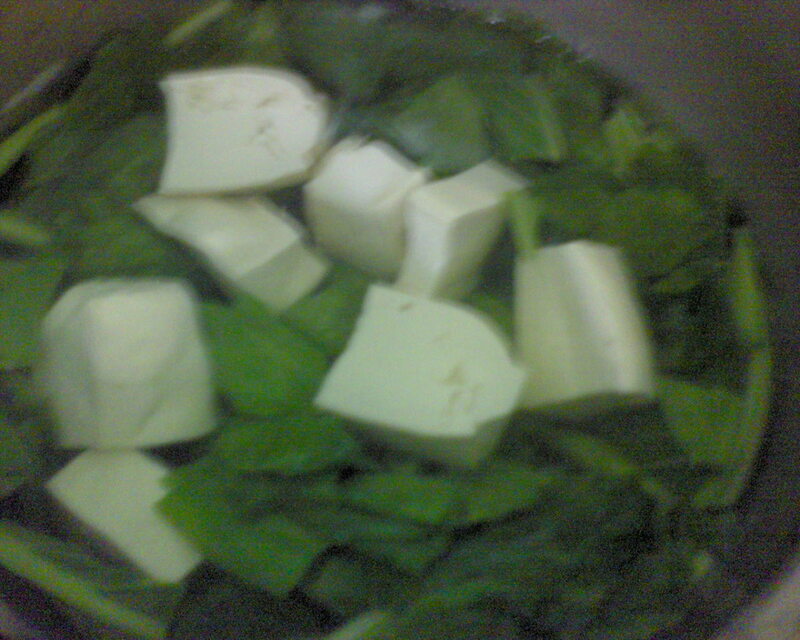 Add in preserved soy beans and pressed beancurd slices. Pour in the water and simmer for a minute. Add in Mustard greens and stir fry quickly till the vegetables are cooked. Add the rice wine, oyster sauce and sugar. Fry till all the ingredients are well mixed. 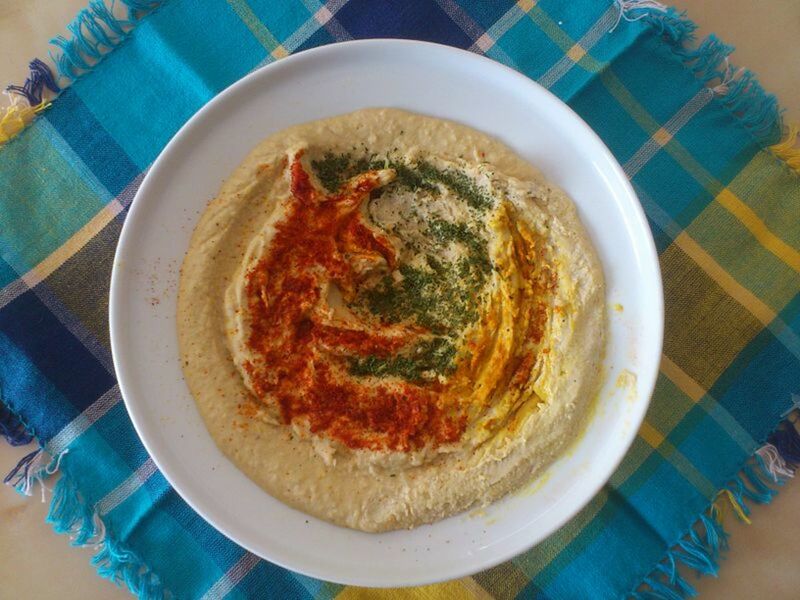 This is the simplest and easiest recipe I have ever cooked ! Just blanch the vegetables, Boil the stock and pour over the vegetables, then decorate with chopped salted eggs and cruller. If you have excess stock, you can use it as your soup mix with any vegetables. Fantastic and taste yummy with porridge or white rice. Does not suit my taste. 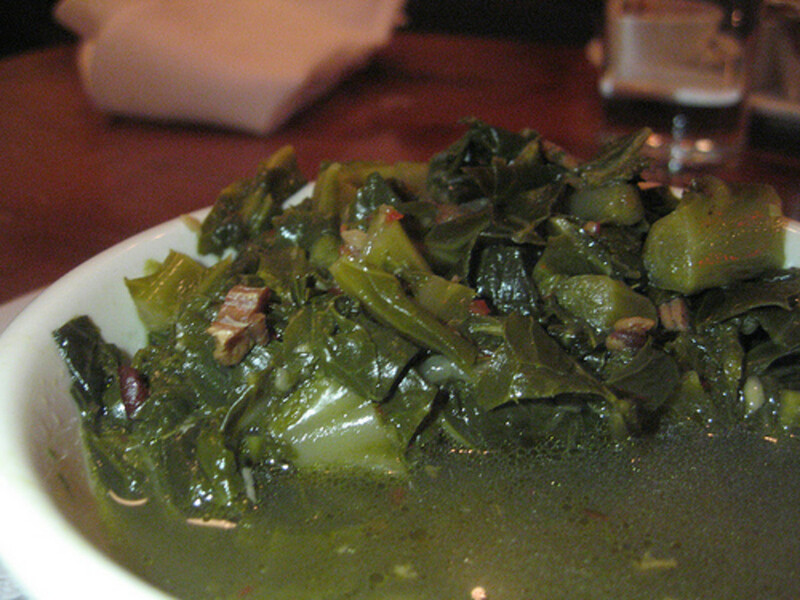 Cut the Mustard Greens into half and wash them. Parboil the vegetables in water mix with a little salt. Arrange the vegetables on a a flat plate. Peel and chop salted egg finely. Cut the cruller into thin slices. When boiled, reduced the heat and add the egg, breaking the yolk only in the liquid and simmer until the eggs are partially cooked. Pour the egg stock over the vegetables. Garnish with chopped salted egg and cruller. Hubby and I grow our own mustard green each year. I like to cook them with bacon or ham. You have some delicious sounding recipes here! thanks peggy, greatly appreciated for the votes and tweeting. This is a terrific hub with many recipes for using mustard greens. 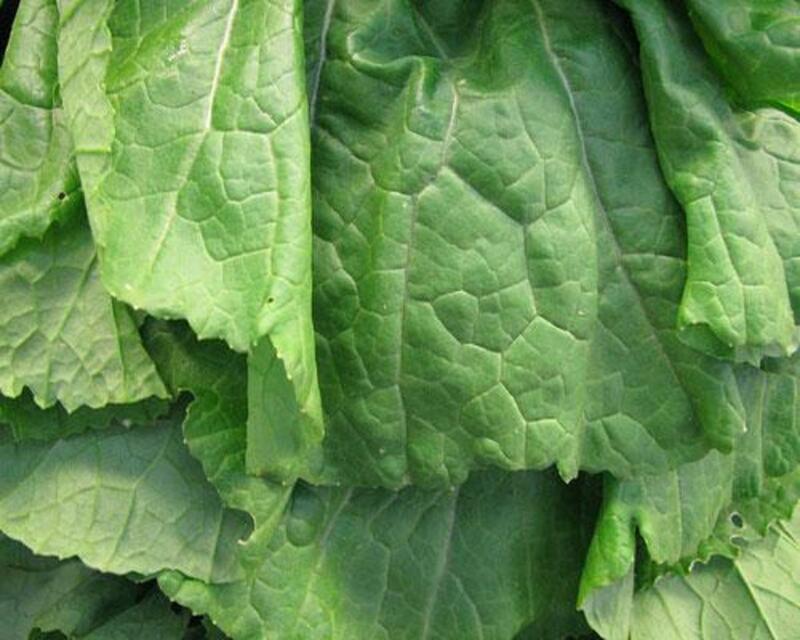 I have eaten them but not as often as other greens like spinach or Swiss chard. I am growing Swiss chard in our garden and may substitute it in these recipes you have shared with us. Up, useful and interesting votes. Will share this hub by tweeting. Thanks so much for the info on fish balls.Really appreciate it. thanks for reading. 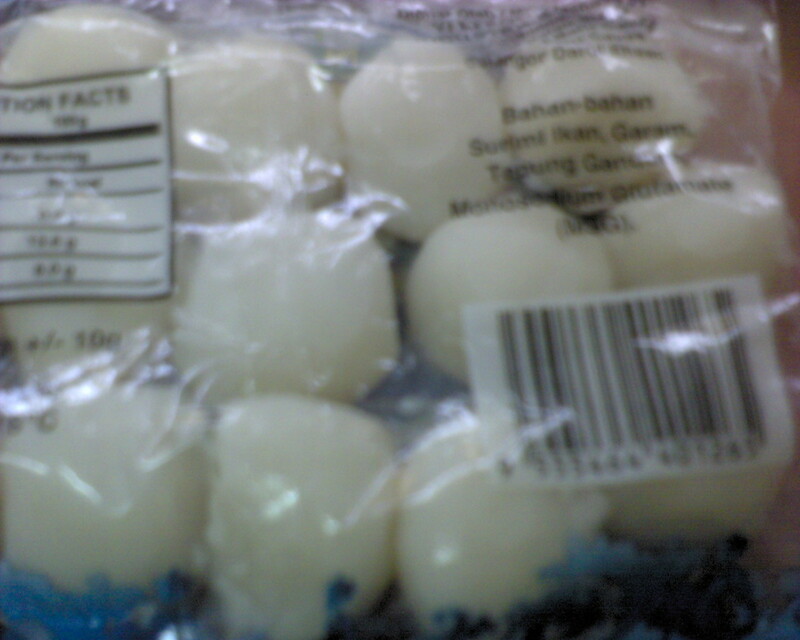 You c an find fishballs in hypermarket or wet market. they are round in shapes and made from fish with flour. Your recipes are so appetizing. I have never heard of fish balls. I have to start looking for them. Thanks for sharing. Thank for reading my hubs. I will try to write more about greens and the nutrients. Hope to write better hubs. Keep my finger crossed. I liked reading your hub about the greens...it was very well done and your recipes look good. Thanks for sharing these recipes with us. Glad you like the recipes. My children mustard greens too. Healthy vege and lots of fibre. hi i love mustard greens...my Momma used to make them when i was little growing up in Virginia. i must try the greens with the egg sauce...it sounds so good. thank you for sharing this. @katyzz, thanks for reading. I still have a few more vegetables articles to write. Hope to get them done soon. Really informative and important, this is a good hub, well done.